Q: What do you call a man with no shins? To begin with I didn’t get this at all. Then it dawned on me that this pun depends on Tony being pronounced like toe-knee — a man with no shins would have his toe connected to his knee. It’s a weak joke even for those for whom the pun works. They will be people who have a tense, [iː]-like quality for their happY vowel. For people like me who have an [ɪ]-like quality, it fails utterly. But this is a London freesheet, and most Londoners have an [iː]-like final vowel in Tony. Harold E. Palmer (1877-1949) was one of the most illustrious phoneticians of the first half of the twentieth century. By his mid-twenties he had published textbooks for learners of English, French, and Esperanto, and set himself up as a language teacher in Belgium. He joined the IPA in 1907, and first contributed to Le Maître Phonétique in 1910. In 1915 he was invited by Daniel Jones to give lectures at UCL, and in 1921 he became a full-time lecturer there. But the following year he left England for Japan, which is where he did his most notable work. Among his writings is A Grammar of Spoken English (1924), with its pioneering account of English intonation. 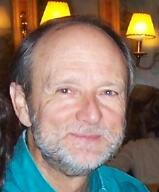 He was the founding editor of the ELT Journal. 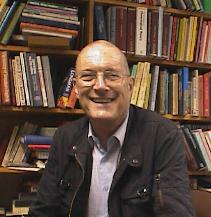 Smith’s biography, The Writings of Harold E. Palmer: An Overview was published in Tokyo by Hon-no-Tomosha in 1999. You can read it on the web here. This is all by way of introduction to Palmer’s witty parody of W.S.Gilbert’s patter song The modern major-general from The Pirates of Penzance, kindly put my way by Michael Ashby. This is how it starts. ...what is sometimes called the ‘Teutonic Rule’, namely that the first two syllables of a word cannot both be lexically unstressed. In words with the main stress on the third syllable or later, we need a secondary stress on the first or second syllable. So what do I mean by “lexically stressed”? In running speech, as we know, stress (in the sense of a rhythmic beat on a syllable) is very variable. Depending on intonation, speeech rate, and other factors, we readily suppress the stress on some of the syllables which could have been stressed. This is utterance stress. Lexical stress, on the other hand, is a fixed property of each word in the speaker’s mental lexicon. Whatever happens in running speech, the second syllable in each of regret, consider, decisively remains lexically stressed, as we show by their dictionary transcriptions rɪˈɡret, kənˈsɪdə, diˈsaɪsɪvli. These are all single-stressed words. What is the justification for considering some English words to be lexically double-stressed? i.e. to have two (or more) lexically stressed syllables? To my mind the crucial point with multiple-stressed words is their susceptibility to so-called stress shift. Although in isolation we say the words fundamental, catastrophic with the main stress on the penultimate syllable, and afternoon, fifteen with the main stress on the final syllable, in connected speech — as is well known — the first syllable of each of these words may have not just a rhythmic beat but also intonational prominence (= an accent), while the other stress may be suppressed. So far, so good: students of English phonetics know about this (I hope). And this is where the ‘Teutonic Rule’ comes in. Without a lexical stress (‘secondary stress’, ‘pretonic stress’) before the main stress, and consequent susceptibility to stress shift, words such as photographic, catastrophic, afternoon would not be phonologically well-formed. Other pretonic stresses, though, are not dependent on the Teutonic Rule. The word fifteen has only two syllables, so it would conform to the Teutonic Rule even without a pretonic stress on the first syllable. How, then, can we determine its presence or absence? The only way is to examine its behaviour under stress shift conditions. Consider, as a test case, the word bamboo. In its dictionary entry, should the pronunciation read bæmˈbuː or ˌbæmˈbuː? First let it bear the intonational nucleus, and then put it in a sentence in which it is followed by a word bearing the nucleus, and see what happens. We say (2), not (1). So bamboo must be lexically double-stressed, ˌbæmˈbuː. We say (1), not (2). At least, that’s what I do. So cosmetic is single-stressed, kɒzˈmetɪk. Some speakers go for (1), some go for (2). For those who say (1) this word is lexically single-stressed, for those who say (2) it is lexically double-stressed. In LPD I want to cater for both. That’s why I use the rather ungainly notation (ˌ)ænˈtiːk. In my 2007 pronunciation survey, which many of you have kindly completed (if you haven’t, see above), there were one or two glitches. These resulted from a slight breakdown in communication between me and the publisher’s web designers. That’s my story, anyhow. I’m not complaining — because Pearson Longman’s website software does all the data processing and statistics, so that all I shall need to do, in due course, is examine the results. This compares very favourably with the 1988 survey, which I processed laboriously by hand, and the still mainly paper-based 1998 survey, for which I had to employ someone for three weeks to input the data. One unsatisfactory question in the current survey is number 6, concerning the pronunciation of the suffix -shire. — but somehow it got lost. The item on the suffix -shire reminds me of the request "Have you stopped beating your wife - answer only yes or no" because very many people vary in their use of this suffix. In my observation practically everybody says /-ʃə/ for Cheshire and probably Yorkshire but a small minority have /-ʃɪə/ for various southern counties and very many, not only in Scotland, say /-ʃaɪə/ for various Scottish counties. It may well be true that what applies to Cheshire doesn’t necessarily apply to other counties, perhaps not even to Oxfordshire. People have also complained that there is no “it varies” option with other items in the questionnaire. But you do always have the option of just not answering a particular question. The name of the American state Hawaii is often written Hawai'i. Why? 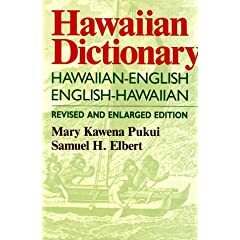 Phoneticians will not be surprised to learn that the apostrophe reflects a glottal stop in the Hawaiian (or Hawai'ian) pronunciation of the name: [haˈwaiʔi, haˈvaiʔi]. However they may be surprised — I certainly was — to be told that the preferred way of writing this is as a LEFT apostrophe (an OPENING quote), i.e. Hawai‘i, not Hawai’i. The Hawaiians call this letter the ‘okina. See discussion here. Its shape is surprising, given that the IPA symbol for the glottal stop was chosen for its resemblance to a RIGHT apostrophe (a CLOSING quote): the top of [ʔ] has the same shape as <’>. Correspondingly, the top of the symbol for the so-called voiced pharyngeal fricative, the Arabic ‘ayn <ع>, namely [ʕ], has the same shape as <‘>. This reflects scholarly usage of <’> and <‘> in the romanization of Arabic and other Semitic languages. 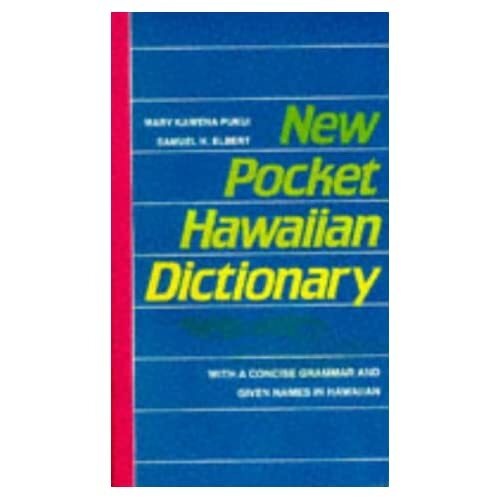 The spelling <‘> for the glottal stop is part of the official orthography not only of Hawaiian but also of the related Polynesian language Tongan. Hawaiian is well known for having very few consonant phonemes and no consonant clusters. There are just eight consonants: /p, k, ʔ, h, m, n, l, w/. Notice that the glottal stop is one of them, and the difference between it and zero can distinguish words. Here are some minimal pairs taken from Pukui and Elbert’s New Pocket Hawaiian Dictionary, which I bought when I visited the islands two or three years ago. On the other hand [t] and [k] are in free variation. The paucity of consonants and absence of consonant clusters makes for some interesting adaptations of European names. My name, John, can become Keoni, Ioane (in the Bible), or... Keanu (which latter is also a Hawaiian word meaning ‘coolness’). Now you know where Keanu Reeves gets his name from. Towards the end of December, Hawaiians say Meli Kalikimaka. The phonetic fonts with which most readers will be familiar — Lucida Sans Unicode, Arial Unicode MS, Charis SIL, Doulos SIL, Gentium — are fine for on-screen display and for printing out simple word-processed documents. But they are not acceptable for printed books. This is because the SIL fonts are TrueType fonts, whereas printers require OpenType fonts. Lucida Sans and Arial Unicode MS are OpenType, but have other problems and by now are very old. What exactly the difference between TrueType and Opentype is, I am not altogether sure: there are some pointers here and here. 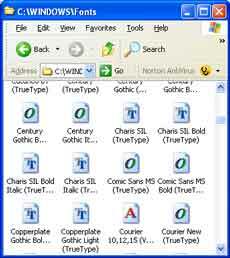 TrueType started out as a Windows standard, but OpenType is cross-platform. I think OpenType is a superset of Truetype, which means that OpenType fonts also conform to the TrueType standard, but not the other way round. If you look at your computer’s list of fonts (mine is at C:\WINDOWS\Fonts), you will see which are TrueType and which are OpenType (and which are neither, like the old Courier in the display alongside). Anyhow, I have been looking at some of the proprietary OpenType phonetic fonts now available from Monotype and its subsidiary Linotype. See, for example, here (click on Character map). But what strikes me about those I have examined is that while they include all the standard IPA phonetic symbols, they also have extensive "Private Use Areas" containing a very wide variety of precomposed combinations of letter-plus-diacritic. Most of these I have never seen in use. Here is a screen-grab of just a few of them. Strangely, the voiced-t symbol [t̬] is lacking from these fonts as a precomposed character (whereas voiced-θ, as you can see above, is present). Yet it is used for the AmE transcriptions in Longman’s LPD and in the Cambridge EPD, works which together must sell easily ten or twenty thousand copies each year. Have you ever seen the symbol [θ̬] in use? I doubt it. BEACONTREE is the name for the Heath. BECONTREE is the housing estate built by the LCC after the First World War. The older generation of residents pronounce both of them as "Beckon-tree" so this would appear to be the established pronunciation. However, "Beacon-tree" is also frequently heard among younger people and incomers. So there is our answer: the dictionaries are basically right to show /e/ as the stressed vowel, but a newer (presumably spelling-based) pronunciation with /iː/ is also heard. All I can say is that I pronounced it out as your friend had done, /bi:kəntri:/, and I'm a native English speaker. As a resident of the Netherlands I would of course not know any background information on the subject of Becontree vs. Beacontree, but since I do know my way around Google, I found two webpages that might be of interest. This one mentions the 'local story' about the a-dropping being a result of 'beacontree' not fitting on the destination boards, and also mentioning both pronunciations can be heard. A spelling with ea could of course easily represent a pronunciation with /e/, just as in head, feather, treachery etc. On the distant reaches of the Upminster branch of the District Line on the London Underground is a place called Becontree. I had always thought it was pronounced /ˈbekəntriː/, and that’s what I put in LPD. That’s what EPD has, too, and indeed has had as far back at least as Jones’s eleventh edition (1956). Wikipedia, too, agrees (for what it’s worth — this is not always a reliable source of information). But today I happened to mention the place in the presence of someone who told me he used to live there. And he insists that the locals call it /ˈbiːkəntriː/. Certainly I have found one website that asserts that the name was formerly spelt Beacontree, which suggests that he might be right. According to the chap I was talking to, they dropped the a when the tube station was built, to make the name shorter. I have sent an email to a librarian on the spot, who specializes in local studies, to try and find out what the truth of the matter is. Or can any reader of this blog help out, too? A: I'm off to England tomorrow. My claim was that with a fall on Where B’s response means ‘What part of England? Where in England?’. But if the intended meaning is ‘I didn’t quite catch what you said. Please repeat’ then Where? must have a rise (or a high fall-rise). Carefully worded like that, I think the claim is correct. However it doesn’t necessarily follow that a rise on Where? must always signal a pardon-question. It could just be a friendly way of asking for more precise details (as with the fall). Although the default/neutral/unmarked tone for a wh-question is a fall, we can also use a rise or (low) fall-rise. Hence a rise on Where? might be ambiguous as between the two possible readings. One of the audience pointed out that the German equivalent is not open to ambiguity in this way. In German you can’t use Wo?, the word for ‘where?’, in this context. You have to say Wohin?, ‘where to? whither? where hence?’. And the word will be stressed differently depending on the intended meaning. A: Morgen fahre ich nach England. A. Morgen fahre ich nach England. No matter whether the nucleus on -hin in (1) has a fall or a rise, the meaning must be a request for further details. With a (rising) nucleus on wo-, as in (2), it must be a pardon-question, ‘I didn’t quite catch what you said. Please repeat’, or ‘I can’t really believe that’. I then realized that the same applies to the alternative way of framing the question in English, Where to?. A: I’m off to England tomorrow. (1) asks for amplification; (2) is a pardon-question. It’s fun giving lectures. Sometimes even the lecturer learns something. Do the Irish speak BrE? The 2007 pronunciation poll is going ahead nicely, with several hundred respondents already having registered their votes. Thanks to all. Well, I'm not sure they want me since Northern Ireland isn't included in the list of countries. And although Ireland's part of the British Isles, the UK comprises Great Britain and Northern Ireland. So if they want British or UK pronunciation I could do it; if they want Great British pronunciation, I couldn't. They SAY they want British, but why isn't NI a category, then? I don’t want to get into politics here, but what she says is quite correct, although she draws the wrong conclusion from it. Northern Ireland, though part of the United Kingdom, is not part of (Great) Britain. The survey is of “BrE”, British English, which means that Irish people, whether from north or south, do not qualify for inclusion. The problem is that some people in Northern Ireland consider themselves British. (So do people in Gibraltar.) But that doesn’t make their province part of Britain, and doesn’t make their speech BrE. Or I suppose I could have invented a category called UK English, to include those in NI but not those in the RoI. A century ago, the “United Kingdom of Britain and Ireland” was just that. With the separation off of the south of Ireland to form Éire (later renamed the Republic of Ireland), the UK now comprises just Britain and Northern Ireland. If at some time in the future NI were to be reunited with the rest of Ireland, there would no longer be any justification for the name UK, and we could revert to being the (single) kingdom of Britain. This is the definition of BrE that I have used in the past, and I think it is the right one. I’m sure we all know that Mbabane is the capital of Swaziland in southern Africa. We can’t cope with this sound in English. Nor can we cope with an initial cluster /mb-/. So, as with Mbeki, Ndola and Nguni, we have to insert a schwa before the nasal to make it pronounceable in English. Whereas the resulting /əmˈbeki, ənˈdəʊlə, əŋˈguːni/ are fine for us, there is a further problem with a putative /əmbæˈbɑːni/ (and equally with possible variants having /ə/ or /ɑː/ in what is now the second syllable). The same problem arises with the /m̩ba-/ offered by the ODP. They are problematic because the phonetic structure of English words is subject to what is sometimes called the ‘Teutonic Rule’, namely that the first two syllables of a word cannot both be lexically unstressed. In words with the main stress on the third syllable or later, we need a secondary stress on the first or second syllable. The Oxford BBC Pronunciation Guide accordingly offers us the form /ˌəmbaˈbɑːni/. But this unfortunately violates another rule of English phonetics, namely that schwa can never be lexically stressed. One way out would be /əmˌbæˈbɑːni/ or /əmˌbɑːˈbɑːni/, which are still rather awkward. According to EPD, American English has /ˌem-/ as the first syllable. This at last gives us a form that is truly pronounceable in English: /ˌembəˈbɑːni/. Webster’s Collegiate goes even further with /ˌembəˈbɑːn/, as if it were a French word. I wonder what non-Nguni-speaking native speakers of English who live there (if any) actually say. How long will it be, I wonder, before we hear of /ˈkʊməbʊndz/ being worn in the /ˈpʊndʒæb/? Lest this sound too fanciful, it’s worth pointing out that the Bund (riverfront embankment) in Shanghai, which ultimately comes from the same Persian (or Indo-European!) root as (cummer)bund, is often pronounced as if it were the German Bund (itself of course cognate with the other bunds): ie /bʊnd/. The OED gives only /bʌnd/, the pronunciation used by the British in India, to whom bunds around paddy fields would have been a familiar sight. 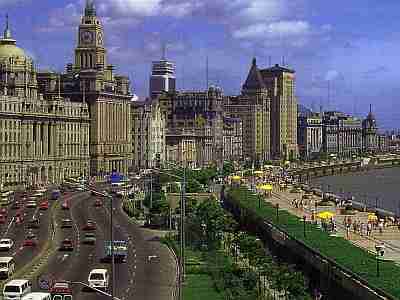 I suspect that modern Britons who say /ˈpʊndʒæb/ are likely to call the Shanghai embankment the /bʊnd/. For what it’s worth, kamarband [cæmærˈbænd] is the ordinary word for ‘belt’ in modern Persian. Good point, Nigel, bringing together two matters I’ve written about in the past few days. I must say that when I first visited Shanghai a few years ago I did hesitate about how to say Bund. Fortunately, I had my laptop with me, including all the LPD files. I found that in LPD I give just /bʌnd/. I mentioned earlier that I occasionally sing in choir whose membership, apart from me, is made up of Montserratians living in London. We have been discussing whether we ought to wear a special costume when we give a public performance. The Montserratian national dress (alongside) is an obvious startingpoint. The women finally decided that they will go for a white blouse and a black skirt, with a scarf made from the national dress material. But what should the men wear? The choir decided that they should wear a white shirt, black trousers and a piece of the material in the shape of a broad decorative belt, as in the picture. In English this kind of belt is called a cummerbund, a word which our language got from Hindi and Persian. But everyone in the choir calls it a cummerband: i.e., they think of it as a kind of band, which makes good sense. It also happens to be etymologically sound, since Hindi kamar-band means ‘loin-band’. That reminds me of a nice instance of folk etymology that I noticed when I was last in Montserrat. When you plant a fruit tree, it makes life easier if you graft it onto dwarf stock, so that the tree doesn’t grow too tall and the fruit will be in easy reach. In Montserratian English the expected pronunciation of this word would be [dwɑːf]. But what people actually say is the subtly different [duːɑːf], interpreted as do-off. I can see that dwarf may be an unfamiliar word, but it is not clear to me why it is reinterpreted as derived from a phrasal verb. I must check with the local experts whether in their English you can do a graft off. In popular Jamaican English the verb develop has been reanalysed as a phrasal verb with the particle up. So Jamaicans can devel things up.